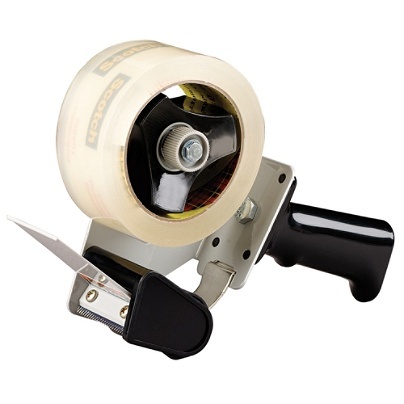 Economical and easy to use carton sealing tape dispenser. One hand, side loading, pistol grip dispenser. Adjustable break mechanism applies tension to tape. 2" (48mm) maximum width capacity on a 3" core.